This post is written on behalf of #AppleWeek. Sponsors, Swiss Diamond, Envy Apples, Imperial Sugar, Nordic Ware, Rodelle Vanilla, Flahavan's Irish Oatmeal, Nairn's and The Spice House have provided participating bloggers with products for recipe creation and a giveaway for our readers. As always, all opinions are my own. This page may contain affiliate links. Today we are kicking off the 2018 edition of #AppleWeek today to celebrate the produce darling of the season! Carlee of Cooking with Carlee arranged this incredible event for you and wrangled a group of bloggers to celebrate all things apple. Apples, apples, and more apples. And Carlee, hostess with the mostess, also lined up some amazing prize packages from our sponsors. Keep reading to see what you can win and enter the rafflecopter below. Available in select stores only, Swiss Diamond's XD 10 Piece Set Ultimate Kitchen Kit features Swiss Diamond's newest, most advanced diamond-reinforced nonstick coating. The new coating formulation contains 20% more real diamond crystals than the HD coating and was developed in Switzerland. 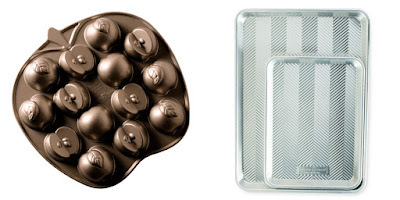 The result is a significantly tougher cooking surface, 40% more durable with 40% better food release properties as compared to the Classic HD nonstick cookware. 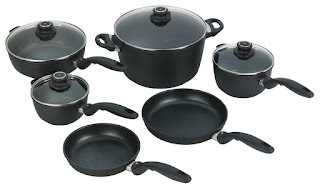 The are ideal for healthy cooking without oil and feature quick, easy clean-up with hot soapy water. They are PFOA-free and produced in an eco-friendly manner. The tempered glass lids have adjustable steam vents and the ergonomic handles and knobs are oven safe up to 500 F.
A $60 Pre-Paid Visa Gift Card and a shipment of Envy Apples! When you’re this good they call you Envy™ —it’s hard to put into words what makes Envy™ so remarkable. Each satisfyingly sweet crunch redefines what to expect from an apple. 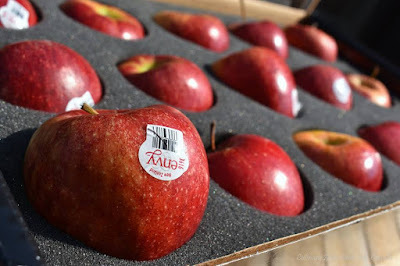 Since it was introduced, Envy™ has emerged as the apple with everything: beautiful skin, sweet flavor and a bright, tender flesh that remains white even after being cut. It’s a pure and pristine apple that’s a genuine work of orchard-growing genius. sundrenched days and crisp, cool evenings. Enjoy Envy™ just about anywhere—it’s nature’s passport to a magical moment of indulgent time. For more information visit their website. 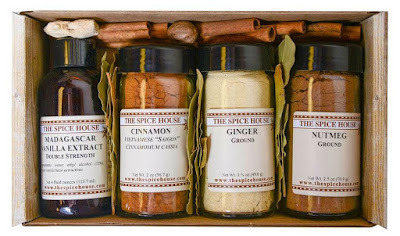 The Spice House has been sourcing premium spices since 1957, bringing you the finest selections from all over the globe. They provide the freshest and most flavorful ingredients possible via small, weekly batch grinding and blending. They will be sending one lucky winner The Baker's Gift Box. A Baker's Dream Come True! Package will include pure vanilla extract, gourmet dutch-processed baking cocoa, gourmet vanilla extract, gourmet vanilla beans, organic vanilla extract, organic chocolate extract, almond extract, vanilla paste, and some fun baking supplies to whip of your next batch of goodies with! A Sweet Tooth's Dream Come True! The Winner will receive 1 case of 2-lb granulated sugar (20 bags) + 1 case of 2-lb light brown sugar (24 bags), 2 silicone baking mats and 1 custom apron. 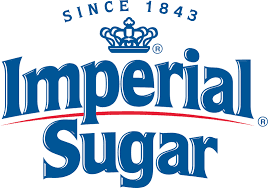 For 175 years, Imperial Sugar has been a trusted name in family kitchens across the South. Sweet things happen when people come together in the kitchen, and that's why Imperial sugar has been at the heart of family traditions and celebrations for generations. We're the secret ingredient in family-favorite recipes handed down from one generation to the next. Home cooks know that when you bake with love and Imperial sugar, that's when memories are made. 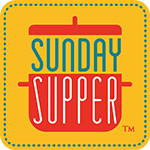 Visit their website for over 100 years of time-tested recipes, kid's crafts, how-to videos, coupons, giveaways and more. 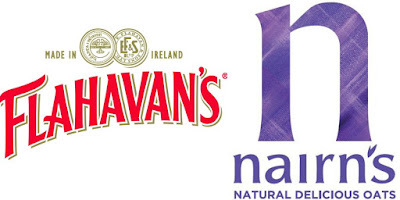 Flahavan's Irish Oatmeal is sustainably grown and milled in Co. Waterford, Ireland by the Flahavan's family since 1785. 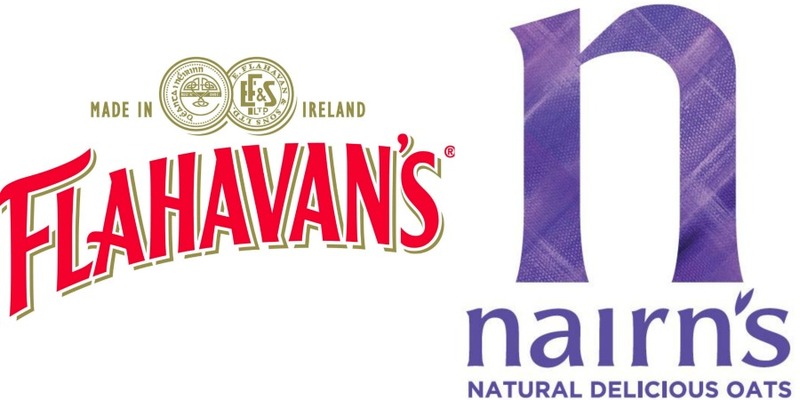 They have sourced the finest oats from the same Irish farming families for generations. Flahavan's oats are milled in small batches and minimally processed according to 230 year old milling tradition and double kilned. They are non-GMO and naturally gluten-free. Nairn's Gluten Free Grahams are rather good in more ways than one. For a start they're made with only the finest wholegrain oats- naturally energizing and proven to reduce cholesterol. And at only 45 calories a piece, they're a healthy alternative the the usual graham (also 40% less sugar!). But the real feel good factor comes from knowing every delicious gluten-fee bite is batch tested to Elisa standards so they're truly safe to eat. 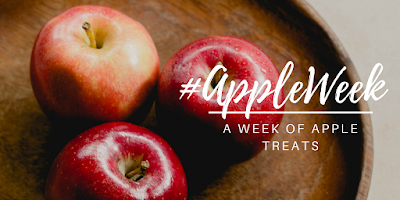 As a participating #AppleWeek blogger, I received a lot of different products from sponsors to feature and use in recipe development for this event. But this box of voluptuous apples from Washington were a family favorite. 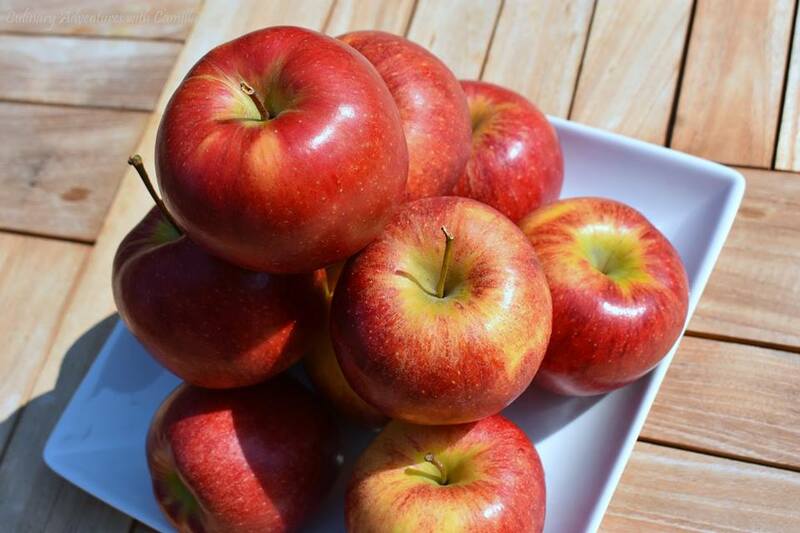 Envy Apples were born in New Zealand using natural plant-breeding methods by cross-pollinating Braeburn apples with Royal Gala apples. They have since planted trees in Washington state and Chile. They are sweet and deliciously crisp. I knew they would make a great addition to a savory recipe. Preheat a cast iron skillet over medium-high heat. Liberally season both sides of the steak with salt and pepper. Melt butter in 1 T olive oil and sear steaks on all sides until a nice crust develops. Reduce heat to medium and cook steak for an additional 1-2 minutes on each side. Remove steak from pan, tent, and let rest. In the meantime, add remaining olive oil to the pan and stir in the apples and onion. Cook until the onions are softened and the apples beginning to brown in some parts. Pour in the wine and vanilla. Simmer until the apples are tender and the wine has reduced to about 1/2 C, approximately 6 to 7 minutes. Stir in the heavy cream. Season to taste, as needed, with more salt and pepper. To serve, place the steaks on a serving platter or individual serving plates. Top with apples and serve immediately. Now I am ready for dinner, what a delicious looking meal! Thanks, Carlee. And thanks for hosting!! What a fun week we have in store for us. This sounds delicious! The apples were wonderful, weren't they! They really were. 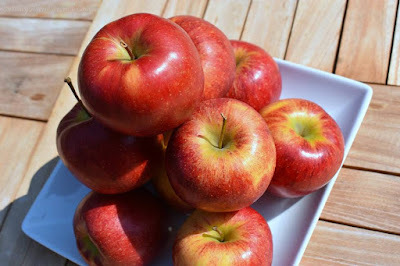 Such a great apple for cooking AND eating raw. This looks so good. 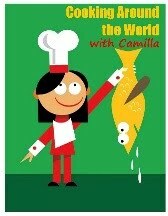 I might try making it with some calvados. My favorite apple recipe to make is a cobbler.